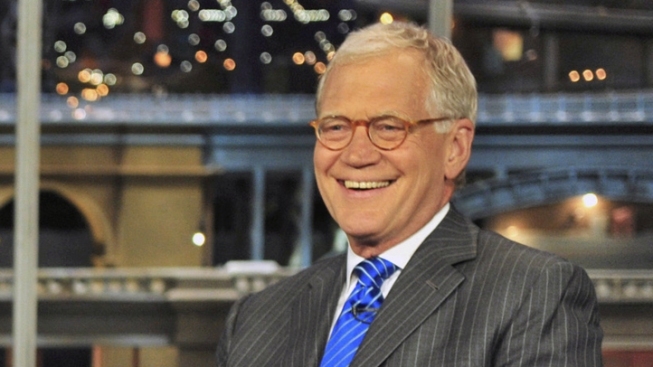 David Letterman scored a new contract. Relax, all you fans of David Letterman and Craig Ferguson. They'll be hosting awhile longer. CBS announced Tuesday that both late-night stars will be sticking with their respective hours — "Late Show" and "The Late Late Show" — through 2014. The new deal means Letterman would become the longest-running, late-night talk-show host in TV history, surpassing Johnny Carson's record of 30 years at the "Tonight" show. Letterman, who turns 65 next week, began on NBC in 1982 with "Late Night" before switching to CBS in 1993. The Scottish-born Ferguson, 49, had been a musician, writer and sitcom star when he took over "The Late Late Show" in 2005.